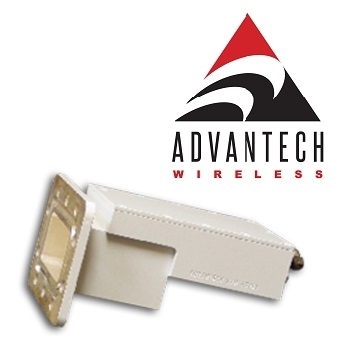 Advantech Wireless has released a new C-band Low Noise Block (LNB) for Advanced Tropospheric Scattering Transmission Applications. Tropospheric scattering is a method of communicating with microwave radio signals over distances of over 300 km, using the troposphere. The new Tropo LNB from Advantech is designed for use in troposcatter receiver applications where low noise and high reliability are critical as well as in systems that operate in the 4.4 to 5.0 GHz frequency range. These new LNB’s are addressing a new generation of tropo scattering systems that are designed to operate in the L-band instead of the traditional 70 MHz IF band. These changes translate into an overall system cost reduction by removing the need for separate frequency converters, LNA’s and multiple modems. Advantech’s highly efficient and powerful solution is ideal for tactical mobile applications where size, weight and power efficiency are critical. These advanced systems are excellent solutions for scenarios with high data rate and long haul requirements. Tropospheric communication links allow for real time communication where currently there is no satellite coverage, where satellite delays are unacceptable and where satellite bandwidth is cost prohibitive. A tropo link investment can easily be recovered in less than two years of equivalent satellite bandwidth cost. Advantech designed tropo systems take advantage of both advanced L-band Tropo modems as well as the state of the art SSPA (Solid State Power Amplifier) technology that Advantech has built its 30 year reputation on. Click here to learn more.